Sarah Palin did an interview with Glenn Beck on Friday, which is interesting because recently Johnathan Martin wrote a piece for Politico on Thursday describing how Palin was high maintenance and extremely wishy-washy (how's that for folksy talk). 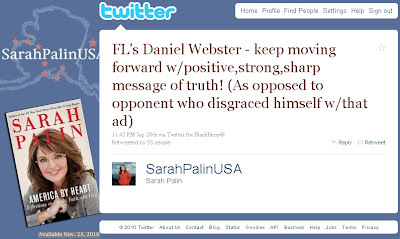 Martin pointed to Palin's non-committal responses, or lack thereof, to candidates and her frequent short term rescheduling that has angered conservative media figures. 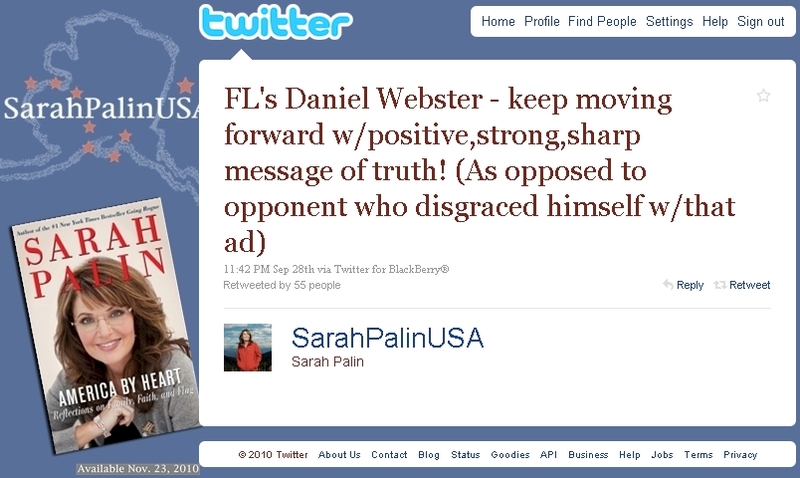 Martin's article led to Palin tweeting some words of anger, but what I find interesting is that right after Martin's article was published Palin does an interview with Glenn Beck, where the two attacked Florida Representative Alan Grayson. Taking a moment to mock reports of tensions, Sarah Palin did an interview with Glenn Beck on Friday, during which the pair indulged in self-satisfied ridicule over Rep. Alan Grayson's (D-Fla.) "hotness." The former Alaska Governor and Fox News personality began their conversation by reflecting on a Politico piece published earlier this week that painted Palin as a diva who had managed to irritate the totality of the conservative movement, from the politicians to the media personalities. Obviously aggrieved by the story, Palin called the reporter, Jonathan Martin, a "punk" and "an idiot" for spreading "lies" about "the big guns" -- the big guns being Beck and other conservative talkers. A conversation about Tea Party politics ensued, with some frank concern expressed about the tightening of the Senate polls. Then things turned to Grayson and got, well, a bit weird. Well, what is the deal then, what is the attraction voters to Alan Grayson? He is not effective in a positive sense at all for his constituents. People look at him and say surely, you don't respect and you don't reflect the good people of Florida. So what is the attraction there? I happen to be a Grayson constituent and compared to what Republican candidate Daniel Webster is offering, Grayson is good for Florida. Granted Grayson comes from a typically conservative district and is currently behind in the polls by a bit - a month ago Webster was at 43%, Grayson was at 36%, and Tea Party candidate and independent George Metcalfe were at 6% - but Palin probably doesn't know a thing about Central Florida politics apart from what she sees from the campaign advertisements - Palin tweeted a day before that Susquehanna poll in support of Webster while decrying Grayson's "Taliban Dan" ad. I have yet to see recent poll numbers regarding Webster and Grayson, but from my understanding early voting may play a strong role in determining who will win - that and who swing-voting independents choose to back.